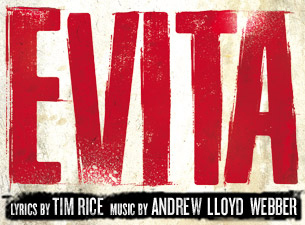 CPCC Theatre will hold auditions for Andrew Lloyd Webber’s Evita on December 4th and 5th at 7:00pm in the Halton rehearsal hall. All roles are open except for Eva Peron. We are looking for a cast of approximately 30 men, women and children. Performances are February 16 to 25, 2018. Rehearsal will not begin until January 2nd. Age ranges are for characters not necessarily the ages of the actors. All ethnicities are urged to audition. You do not have to be a current CPCC student to audition. Auditions are open to all. CHE: (Male, 18-35) This character is dashing, impulsive, jealous, and manipulative. Che is a political activist and the narrator of the show, a radical who isn’t reluctant to ask tough questions and demand answers. An actor/singer that must move very well with a high, rock tenor voice that can sing a low A to high B, falsetto to high F.
PERON: (Male, 30-50) An officer in the Argentinean army who rises to become the Argentine President. He is a man who is dignified, charming, and authoritative. A strong actor and singer who can play character/leading man. Vocal bass/baritone to high F.
MISTRESS: (Female, 13-18) A very beautiful, fragile, vulnerable, innocent young girl who plays Juan Peron’s teenaged Mistress. She is “dismissed” out of Peron’s life by his future wife, Eva. The Mistress ponders the rejection during her song, “Another Suitcase in Another Hall.” She will also appear in the ensemble. Must be able to move well and sing a low A to a high E.
MAGALDI: (Male, to play 30 – 40) A tango singer with whom Eva has her first love affair. A charming loser – never quite made it. Has the first number in the show, “On This Night of a Thousand Stars” and sets up the world in which Eva exists and establishes a Latin flavor to the piece, which is essential. He will also appear in the ensemble. A Latin American “personality” type and feel that needs to be bigger than life, but real at the same time. Sings high tenor High G.
ENSEMBLE: Seeking a broad range of males and females of all ethnicities from late teens to 60+. Excellent singing voices in all ranges. All must understand the Latin temperament even if they don’t fit into the “look.” All shapes and sizes to play everything from Generals to Peasants. A fully featured, versatile ensemble that helps define this world. Movement ability a plus. CHILDREN’S ENSEMBLE: Looking for 3 boys and 3 girls ages 7-14. Must sing and be able to hold harmonies, act and move moderately well. These young actors will be featured as well as appearing in the adult ensemble at times. Each auditionee should have a prepared song of at least 16 bars and have sheet music in appropriate key. Be dressed to move. A short dance audition will be held following the singing audition. An accompanist will be provided. Rehearsal will begin on January 2nd. There will be a brief meeting on December 7th at 7:00pm to get the cast organized and workout schedule conflicts. Callbacks if necessary will be held on Wednesday December 6th at 7:00pm. CPCC Theatre will hold auditions on December 7th and 8th at 7:00pm in the Rehearsal Hall Overcash 300 on the college’s Central Campus. We are looking for 3 men and 3 women. I Love a Piano is the celebration of the music and lyrics of one of America’s most prolific songwriters Irving Berlin. Containing over sixty of Irving Berlin’s most beloved songs, the show includes such classics as “Blue Skies”, “There’s No Business Like Show Business”, “Puttin’ on the Ritz”, “White Christmas”, “God Bless American” and of course “I Love a Piano”. Alternating heartbreaking and hilarious, rousing and reflective, I Love a Piano is a fitting tribute to the man Jerome Kern said had “no place in American music- he is American music”. There are roles for 3 men and 3 women. All ages are encouraged to audition. 2 characters must tap. Each auditionee should have a prepared song of at least 16 bars and sheet music in appropriate key. Be dressed to move. An accompanist will be provided. Rehearsal will begin on January 4th. There will be a brief meeting on Thursday December 10th at 7:00pm to get the cast organized and workout schedule conflicts. Performances are February 12,13,19,20 at 8pm,February 14 & 21 at 2:30pm and February 18 at 7:30pm.